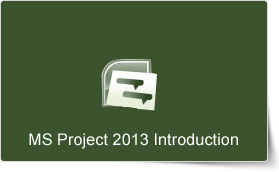 Microsoft Project 2013 is a project management application used for managing projects easily and efficiently. The application uses various features to easily collaborate on projects, understand its history and progress in a glance, and create professional reports. Microsoft Project 2013 Introduction Training Course is designed for beginners where they will develop important skills in planning a project, task entry, resource entry, task linking, and more. After the completion of the course, participants are able to effortlessly conduct all basic tasks to create and track projects. This highly valuable and dynamic training course is now available throughout Hong Kong, including Central. "Very informative. Definitely motivates me to allow more time than usual to prepare my day, break down my work and scrutinize my prioritization processes. Highly beneficial."